Not only is Joel Hays a prominent “golden bone” (aka. carp) guide here in North Texas, he is also my personal beer guide. The following is from his Power Point presentation on the Holiday Beer category of beers, and was a small part of his weeks long classes on the entire history of beer, all the way to present day. I attended almost every class this fall, yes at church, the tailgate tastings in the parking lot – wind, rain, blustery fronts coming in at full speed – were also attended by a few die hards like myself. I thought that so many of us need something to keep us occupied when tying flies, watching football (you not me), or for in-law survival, that this would be the perfect time to run a post on the Holiday Beers. As always, thanks to reader Joel Hays for providing this valuable and timely information. If anyone else has anything pertinent to the goals of Texas Fly Caster, be it fishing, eating, drinking, music or “Fly Fishing Culture on the Skids” feel free to send it in. “Wassailing” is an ancient southern English tradition that is performed with the intention of ensuring a good crop of cider apples for the next year’s harvest. It also refers to both the salute ‘Waes Hail’ ( a contraction of the Middle English phrase wæs hæil, meaning literally ‘good health’ or ‘be you healthy’) and to the drink of wassail traditionally drunk as an integral part of the ceremony. While the beverage typically served as “wassail” at modern holiday feasts with a medieval theme most closely resembles mulled cider, historical wassail drinks were actually mulled strong ales or mead. Ale, sugar, ginger, nutmeg and other spices were placed in a bowl and warmed to combine flavors. Brandy was often added to “stabilize” the mix and increase the level of alcohol. Most German Holiday releases are a type of Doppel bock or a Munich Dunkel lager. These often have higher alcohol contents while smooth, rich and complex, but without being heady or heavy. Holiday (or Advent) brews tend to be historically defined as using the best ingredients possible. Both styles boast brilliant ruby hues from the large amounts of Munich malts used, and these malts also lend a fuller-bodied beer. The lagering process also lends much depth and richness. Bitterness is often moderate, with just enough to balance out any sweetness. Hop varieties used tend to be of the German noble varieties, like: Tetnang and Hallertau. This is an ever-changing category with examples from English Strong Ales to Belgian Trippels. 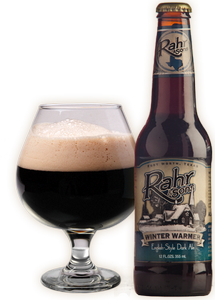 Some are spiced while others (like the EXCELLENT Rahr) stay true to historic styles. If you choose to drink, drink responsibly. Designate a driver. Cast carefully as well. Have a Happy Thanksgiving wherever you are. GO FISH BLACK FRIDAY and leave the shopping to those more responsible than ourselves.